MISSION: Charting a Course for Living, Learning and Earning with Vision Loss. Lighthouse Central Florida has, for over 40 years, provided educational and vision-specific rehabilitative services to Central Floridians, of all ages, who are blind or vision impaired. 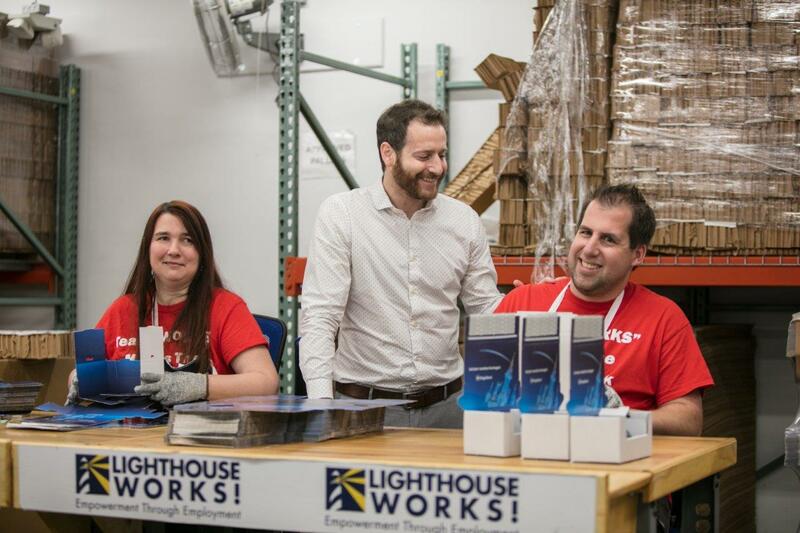 Lighthouse is the ONLY service provider in this area, offering children and adults who are blind and visually impaired an opportunity to learn the skills necessary for independent living. Services are taught by degreed and credentialed vision rehabilitation specialists. Lighthouse effectively works to reduce economic burden associated with direct and indirect costs of vision loss. According to Prevent Blindness America, the number of Florida residents with impaired vision, including blindness, could more than double over the next three decades, due in large part to an aging population and increased life expectancy. Youth Services include programs for Early Intervention (ages 0-5), School Age Children (ages 6-13) and Teens (ages 13-22). 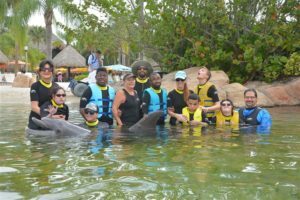 These services are taught by credentialed, certified staffers and are designed to teach children living with blindness and vision loss the ability to self-advocate and function at their greatest level of independence. We also empower parents and caregivers to better understand their loved one’s disability and assist them in navigating their new reality. Adult Programs include access technology, Braille services, orientation/mobility and independent living skills. Whether it is picking out clothes in the morning, reconfiguring a kitchen so that our clients can continue to cook in a safe way, going to the grocery store, checking email or just navigating their community in a safe way —Lighthouse empowers individuals who are blind or visually impaired with skills that can help them maintain or improve their quality of life. 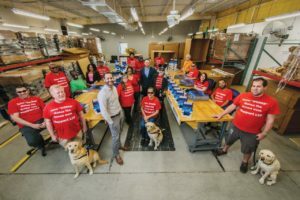 Create competitive career opportunities for qualified candidates who are blind or visually impaired (competitive employment means these are real jobs, with upward mobility, working in real businesses, for real customers, and generating real revenue). Generate net revenue that can contribute “upstream” to support and expand the services of its core mission at LCF. 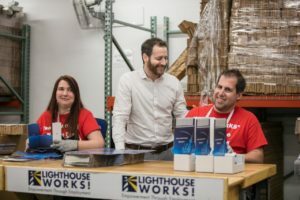 Lighthouse Works meets a great need, considering that the U.S. Bureau of Labor statistics estimates that in November 2016, 70 percent of the 2.2 million working-age adults in the U.S. who are completely blind or partially sighted were unemployed.